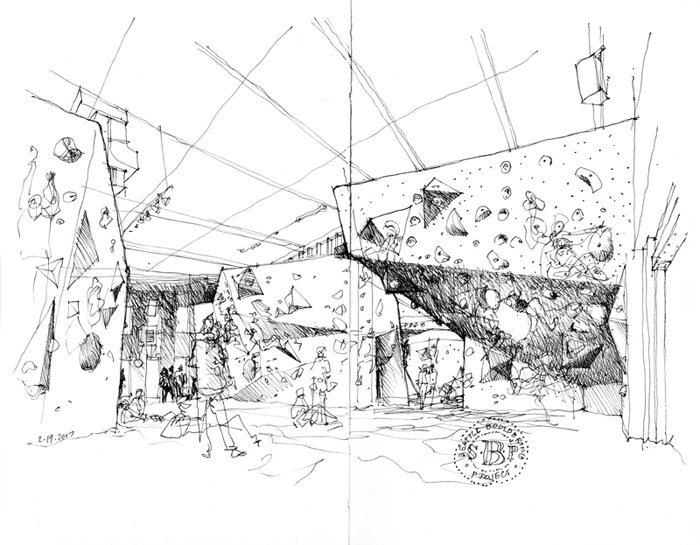 We first gathered at the Seattle Bouldering Project on February 16, 2014, almost exactly three years ago. Here are two similar views from 2014 and yesterday. 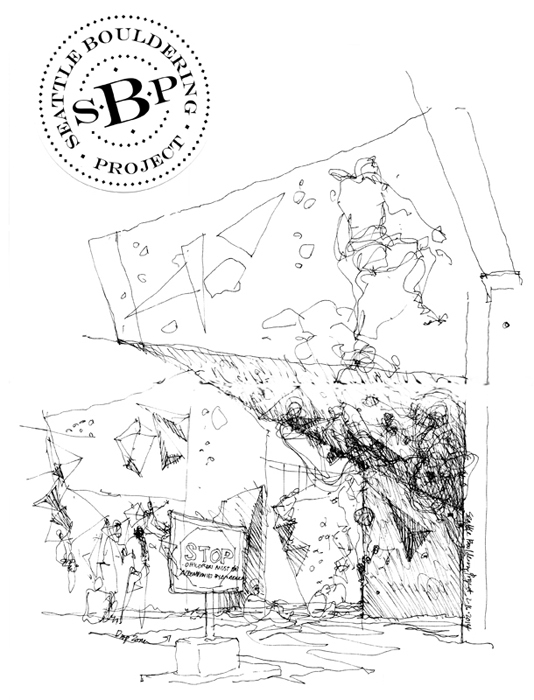 The second is drawn from a point a little farther back and offers a broader view of the environment.